Truman and Dalton improve the Cruzin Cap cart bay area adding FastCap’s EZ Stripe for standardization and FastCap’s Kaizen Foam for shine. For more information on FastCap’s EZ-Stripe, visit our website. For more information on FastCap’s Kaizen Foam, visit our website. What does your Cubicle look like? Mark Dvorak, of Astronics Corporation, sent us this video (his first Lean improvement video back in 2016) showing how he makes small improvements every day to his cubicle. I’m sure there will be many more!!! Paul Akers discusses how by 3S’ing his closet (Sweep, Sort & Standardize) he can easily find what he wants and reduces the need for buying more clothes. 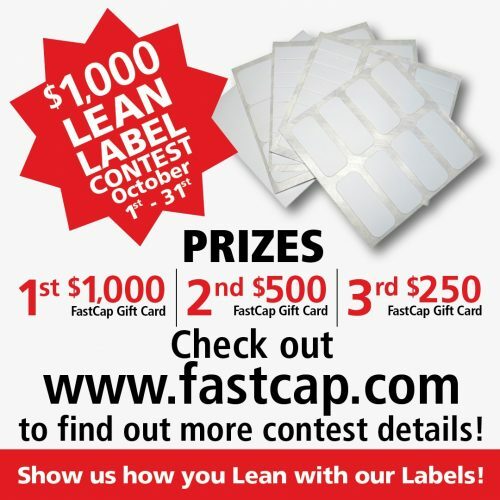 Want a $1,000 FastCap Gift Certificate?